Our centre is situated in Koszarawa on the boundary of two wojevodships – Silesia and Lesser Poland, underneath the Jałowiec Peak (1111 m.a.s.l. ), which is the part of Przedbabiogórskie mountain range in Beskid Mountains. 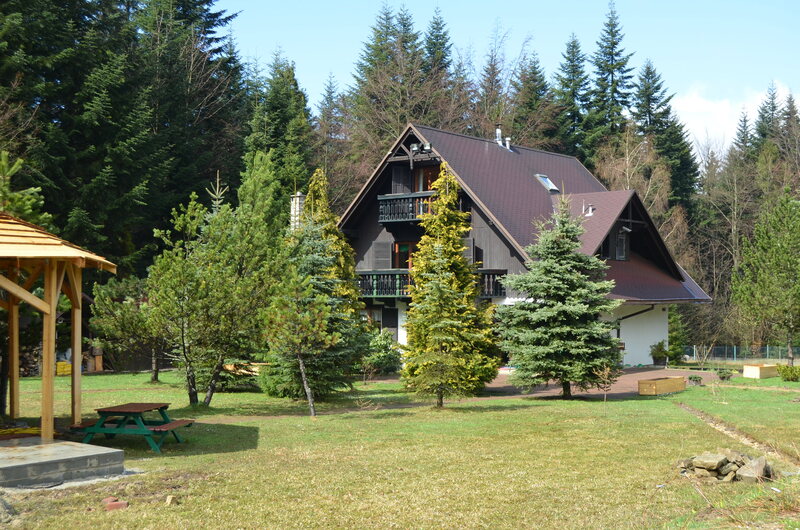 From our premises you can go directly into the woods where start mountain walking/ hiking and cycling trails. In the centre you can do plenty activities and use individual trainings with personal coach. We invite you all year round for trekking, dogtrekking, canicross, MTB enduro and bikejoring. In winter visit us for skiing, snowboarding and try skitouring and dogtouring. We inform that on our premises there are dogs. We do also have guests that arrive with their own pets. If their presence (smell, sounds, plays and others) is inconvenient for you Jałowcówka won't be the best place for your leisure. In the middle of Beskid Mountains, at the end of village, directly by the woods. Here you will find your silence. The house is isolated, located on a big plot where mountain ranges stretch into the distance as far as the eye can see. Relax near the waterhole, catch the sunlight on the deckchair and in the evening let yourself hypnotise by the dancing flames in bonfire. Classical mountain house, whole in wood hides an eclectic interior. The fireplace situated in the central place makes a homey atmosphere. Feel the mountain ambience through the interior design and photo exhibitions on walls. Make yourself comfortable in the lounge with a book in your hand and get away from it all. You will not want to come home! We are active and keep fit. The personal trainer, ski instructor, nordic walking instructors, ex competitors in many disciplines. That’s us! Visit us and check the active possibilities of the mountain surroundings. Take your quadruped with you and make it fit as well. Addict yourself from healthy dose of endorphins combined with fresh air! The first meeting of dog lovers and cyclists was is over. 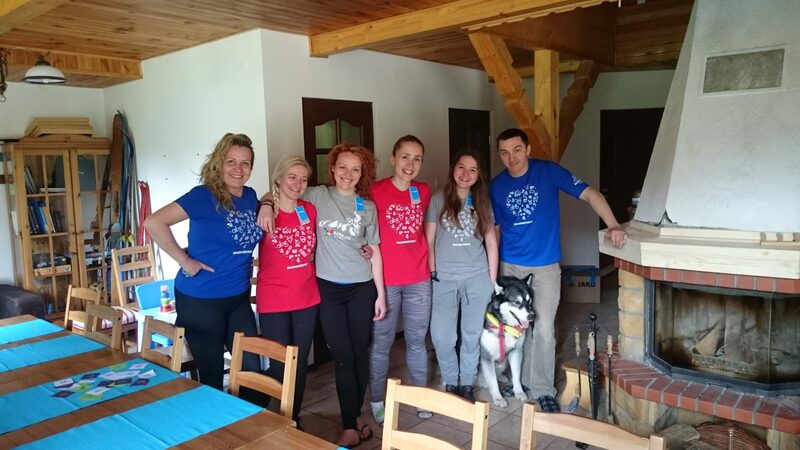 There were dogtrekking, having fun on the slackline, canicross competitions, campfire, barbecue and a lot of positive energy! Cudowne, piękne, pachnące miejsce. Dookoła las, góry, cisza i spokój. Bardzo klimatyczne i wygodne wnętrze. Nic więcej nie potrzeba! Wróciliśmy odprężeni i z szerokimi uśmiechami. Jest pięknie! Świetne miejsce. Mili ludzie, miłe psy :) Gospodarze z głowami pełnymi pomysłów i zapałem do pracy, aktywni i pełni pozytywnej energii. Świetne miejsce dla aktywnych. Gospodarze zapewniają słuszną dawkę ruchu. Nie nudziłam się ani trochę. Super miejsce i gospodarze:) Do zobaczenia! Stay in touch and follow us in social media!